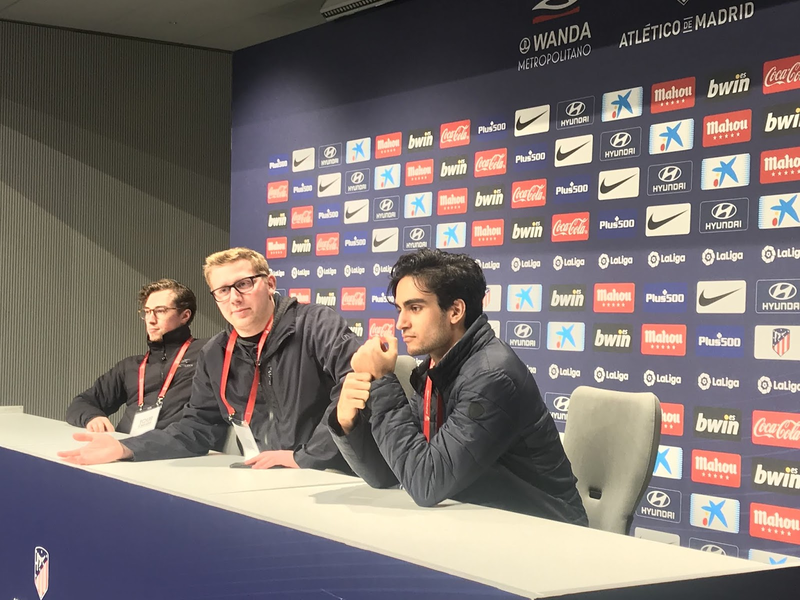 Global Seminars: Monday, Jan. 14: Back to Madrid-the Royal Palace and soccer! 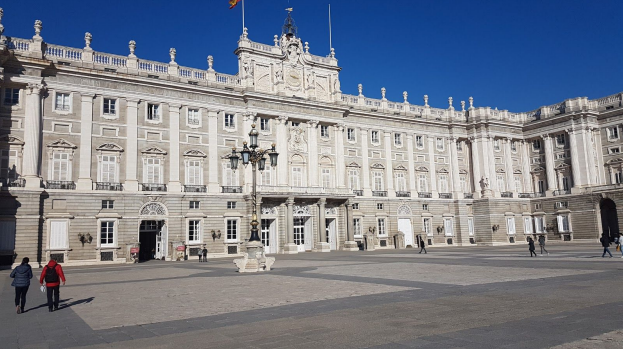 Monday, Jan. 14: Back to Madrid-the Royal Palace and soccer! Today's highlight was touring the newly constructed soccer stadium in Madrid. 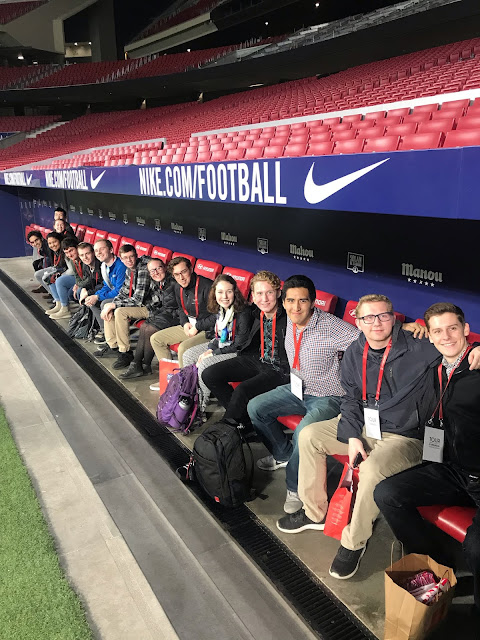 Soccer is really big in Spain, and those in our group who are avid soccer fans were really excited to experience the stadium! We started the day with a lecture from Dr. Villar Mir from the Villar Mir Group (and owner of OHL). It was interesting to learn about his career in engineering, politics, and business and also hear about how he built his company and what they do. Once we were done there, we had some free time to grab lunch, so we wandered a bit until we found a tasty cafe! 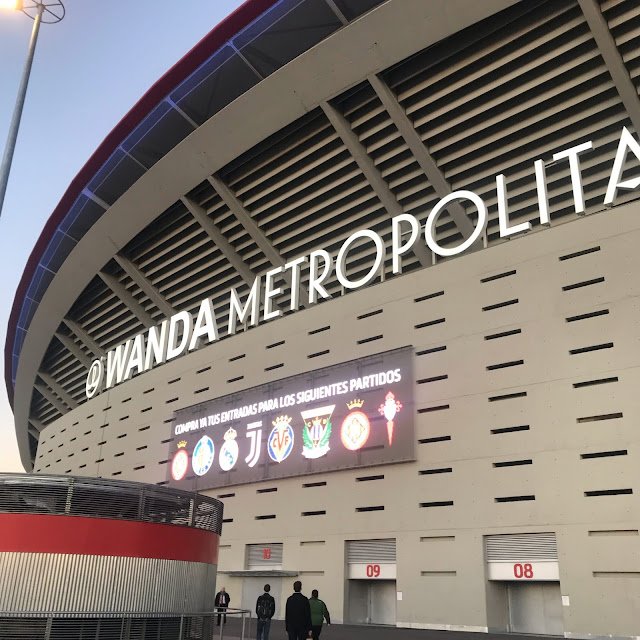 Then we met back up to head to Wanda Metropolitano Stadium for a tour to finish the day. 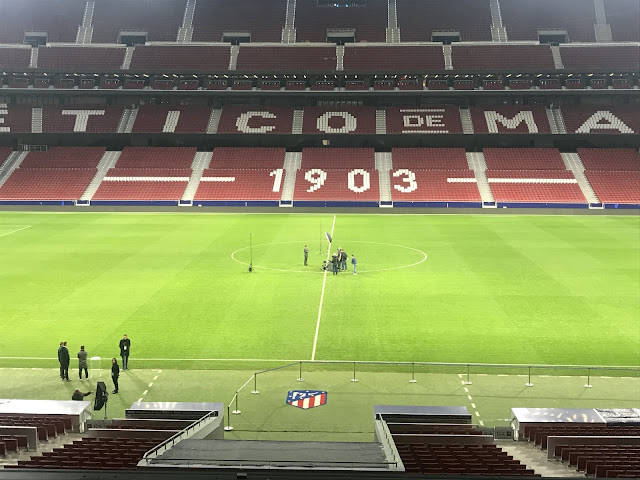 The new stadium, where the Atletico Madrid futbol team plays, was definitely the highlight of the day, as we were able to see everything from the original foundation of the stadium, to the field and player bench, to the largest press room in Europe! We also travelled to Madrid's Royal Palace. Though the royal family does not currently reside there, it is still kept in pristine condition for both state events and public visitation. It was quite cool to see all the different rooms in the palace. Something interesting is the amount of Roman-inspired artwork within the palace. The ceiling frescos were almost all religious pieces, which makes sense as religion played a huge role in Spain for almost all of history. However, it was split around 70/30 between Christian and Roman artwork. All in all, it was a fun and interesting day! Ann J. and Marnie A.